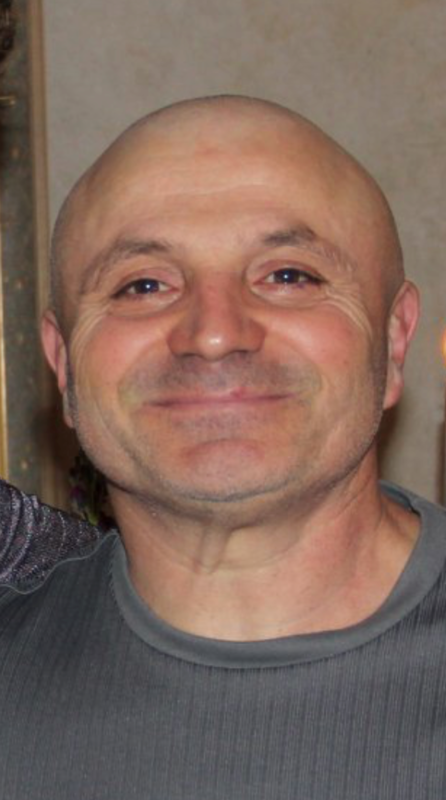 Luigi “Louie” Napolitano, 58 of Parsippany, a beloved husband and father who was a fixture in his community and the Northern Jersey produce and seasonal farmers circles, passed on Friday January 25, 2019 after a valiant fight against Leukemia. Louie grew up in Jersey City after immigrating from Italy with his family as a young boy. At an early age, his father dropped him at Brite-Light produce store on Central Avenue and offered his services for free. There, Louie soon earned a paid position and learned the produce and seasonal market business. He followed and perfected that path to eventually open his own businesses, first in Bayonne and then back again in Jersey City where he purchased the iconic Tippy’s Charbroil on Kennedy Boulevard and converted it into Hudson Farmers Market. From there, thousands of his Christmas trees and wreaths adorned area homes each year during the holidays, hundreds of thousands of palm crosses honored graves across the entire North Eastern United States annually, and Mother’s Day and seasonal flowers were staples in the spring and summer months. Fruits and vegetables were for sale year round. Recently, he sold the Jersey City property and commenced operating as Bergen Garden Center and Farms in New Milford giving him the opportunity, albeit too brief, to farm the land as his family did back in Italy. But his success in business told only part of his story. Louie was always a reliable source of donated goods to local charitable endeavors in the area. He sponsored and starred on local league softball teams. He often sheltered and occasionally adopted abandoned cats and dogs. Some of them lived out their lives on the property and a few, after negotiation with Mrs. Napolitano, resided in the family home. However, his central calling was husband and father. Working with his wife, they built a life together residing first in Jersey City and Bayonne before settling down in Parsippany. Louie could be found regularly in the stands at his oldest son’s football games and front and center at his daughter’s recitals and youngest son’s dance performances. Each year he and the family hosted blowout Fourth of July parties highlighted by 15 player-each-side softball games. His salads and roasted peppers were legendary. His love and commitment to his family perhaps is best punctuated by his non-ceasing efforts to overcome the early onset of the disease in July of last year to walk his daughter down the aisle at her wedding and muster up the strength to make their father-daughter dance at the reception before immediately responding to the hospital to commence treatment. He refused to miss that moment. Louie temporarily leaves behind his adoring wife of twenty-nine years, Gina (nee-Sciarra) who was his partner in every sense of the word. He is survived by his eldest son, Luigi Napolitano; his daughter, Carmellina Stetson and her husband, Matthew; and youngest son, Alfonse Napolitano; his sisters, Louisa Conigliaro and her husband, Frank & Patty Pavick and husband, Steve; his brothers: Mario Napolitano and his wife, Toni-Lynn, Dominick Napolitano and Carmine Napolitano and his wife, Jennifer; as well as many in-laws and extended family.